CLB-600D Main Bio-Digestion Unit 11034160 https://www.kaercher.com/us/professional/water-treatment-systems/bio-remediation/clb-600d-main-bio-digestion-unit-11034160.html The CLB-600D is a primary bio-digester designed to discharge commercial and industrial waterwater, incorporating high-efficiency aerobic microbial water treatment technology. 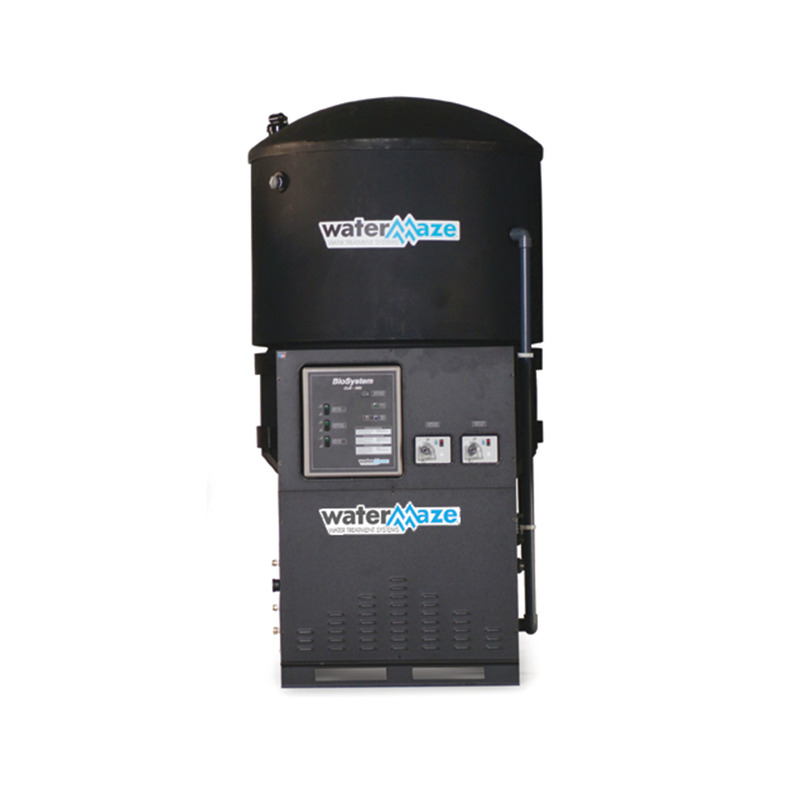 The CLB-600D is a primary bio-digester designed to discharge commercial and industrial waterwater, incorporating high-efficiency aerobic microbial water treatment technology. The CLB-600D is a primary bio-digester designed to discharge commercial and industrial waterwater, incorporating high-efficiency aerobic microbial water treatment technology. The CLB-600D module is intended for applications where the dissolved organic carbon loading is high. It can be applied as a treat and discharge system, or incorporated into a recycle system by adding the Water Maze REC2-20A recycle module. The CLB’s unique design features modular components to match each customer’s application requirements as well as to keep the equipment cost and performance to only what is truly needed. Moreover, the systems are automated for ease of maintenance. Water Maze’s advanced bio-technology features super-efficient aerobic microbial digesting, enhanced water circulation, injection of cultured microbes at concentrated levels and the introduction of a special microbial nutrients blend. Unlike filtration systems, which create a sometimes hazardous sludge, the BioSystem naturally converts organic contaminants, such as oil, grease, etc., in a waste stream into harmless water and carbon dioxide.